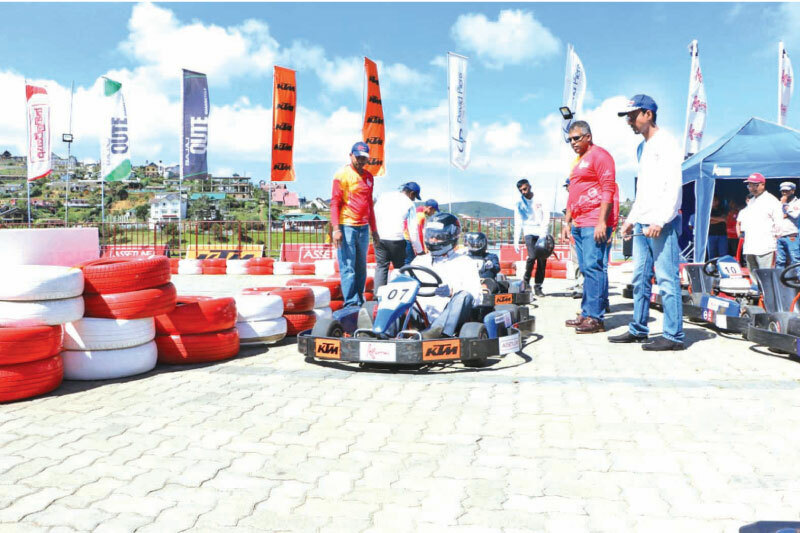 SLKC Karting Wasanthaya, the first ever karting experience to hit the hill country kicked off with great celebrations under the auspices of Mayor of Nuwara Eliya, Chandana Lal Karunaratne, Rohana Pushpakumara - District Secretary - Nuwara Eliya, Naalaka Madugalle, Managing Director, David Pieris Racing & Leisure (Pvt) Ltd & Lakmal de Silva, Divisional Manager of David Pieris Motor Company (Pvt) Ltd at Car Park 04, Upper Lake Road, Nuwara Eliya. David Pieris Racing & Leisure (Private) Limited, who own and operate Sri Lanka’s first international karting track in Bandaragama are giving motor sports enthusiastic and visitors to Nuwara Eliya an opportunity try out the thrilling experience of karting from 08 to 22 April 2019 at ‘SLKC Karting Wasanthaya 2019’. Genuine Bajaj spare parts and an interactive game to identify fake parts will no doubt provide additional entertainment. Visitors can also quench their thirst on healthy drinks and snacks with Eliya brand organic fruit juices, with no added sugar or sweeteners, and organic dehydrated fruits and vegetables from David Pieris Global Ventures (Pvt) Ltd.